Epic Games has confirmed that the final Fortnite 7.10 content update is being scheduled for launch tomorrow, January 7. And it appears that there will be plenty to look through when the patch notes are released for PS4, Xbox, Switch, PC and Mobile gamers. 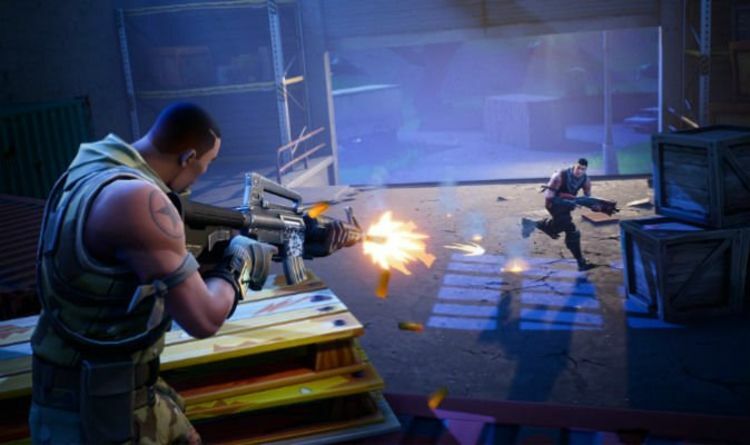 Fortnite’s design lead, Eric Williamson, has revealed some of the stuff that will be included in the next update. It appears that Epic Games are bringing back the Dual Pistols and are also going to make some big balance adjustments. Fortnite content update 7.10 also look guaranteed to include the new suppressed sniper rifle weapon. When Battle Royale players log in, they’re being greeted with a message saying the new suppressed sniper rifle is ‘coming soon’. These messages always appear just before a new item or weapon gets added to Fortnite in the next patch release. So it looks almost certain that tomorrow Battle Royale fans will be able to get to grips with a brand new weapon. As tomorrow will see a new content update released, it doesn’t appear that there will be server downtime. Epic Games usually announce in advance if they plan to take the game offline for some time. However, this has not happened today, suggesting that there will be no downtime for Fortnite Battle Royale. Here is the latest news from Epic Games, who posted on Twitter: “Unseen & Unheard...A stealthy new addition arrives to Battle Royale. As noted above, the new content update will go live at around 1pm in the UK and will be released alongside full patch notes. These notes will include all the major changes coming to Battle Royale mode and will also answer questions on just how powerful the new weapons will be. One item that doesn’t appear to be part of the new Fortnite update is the Driftboard, with a recent Reddit post revealing the latest. In a post on Reddit, a rep for Epic Games said: “We know we set the expectation for the Driftboard to release in the coming update. It’s unclear if Epic Games will have managed to have gotten this all fixed for the January 7 Fortnite update.